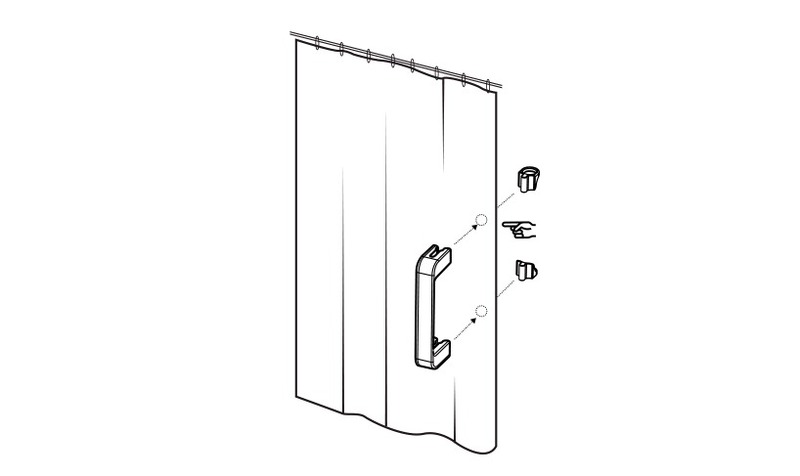 A rigid handle that makes it easier to move a bathroom curtain. 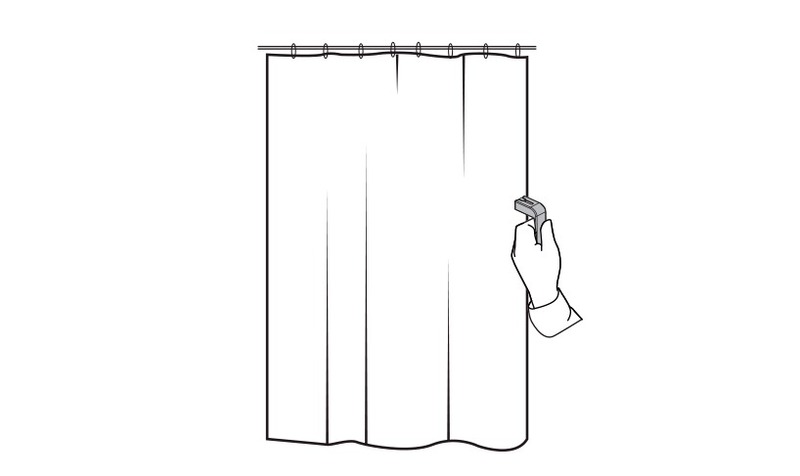 Place the handle on the curtain at the height at which you wish to position it, and then, from the other side of the curtain, push the locks into the open ends of the handle. The curtain can now be opened and closed with ease.